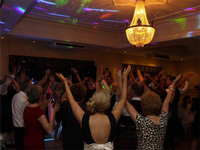 "Located in Cumbernauld near Glasgow Dullater Golf Club is a fairly new build club-house in quite an affluent area the club is modern clean fresh and well run with an excellent catering service, the function suite is upstairs, and the club is wheelchair friendly with a lift taking you up to the first floor. The function room is warm and friendly feel to it and has windows that over look the golf course and a balcony for the smokers tu use, it also benefits from having the bar in the same room and it also has a fairly large car park." All reviews are the subjective opinions of third parties and not of the website or its owners. Reviews are placed by members of the public that have held a function or event at Dullatur Golf Club. 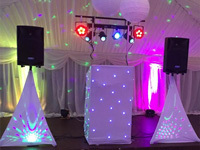 At needadisco.com we only accept reviews from confirmed clients that have booked a DJ to play at Dullatur Golf Club via our website, with the arrangements independently verified by both the DJ and the client before the event takes place - no "fake reviews" here! 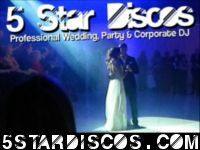 Helpful information for DJs and entertainers visiting Dullatur Golf Club provided by trusted members of needadisco.com. PARKING: NO REAL PARKING IN FRONT OF THE CLUBHOUSE, DONE IT MYSELF BUT IDEALY NEADS A ROADIE. ACCESS: AS YOU LOOK FACE ON TO THE BUILDING THE FUNCTION SUITE IS TO THE LEFT ABOVE THE MAIN ENTRANCE, THE LIFT IS ON THE LEFT OF THE BUILDING WHERE YOU CAN GET ACCESS TO THE LIFT WHICH TAKES A ROCKNROLLER TROLLEY. STAFF: STAFF WERE FINE, I LIFTED THE GEAR UP THE STAIRS IT WAS THE STAFF THAT TOLD ME THERE WAS A LIFT. ADDITIONAL COMMENTS: "TRY AND GO EARLY SO THAT YOU CAN REVERSE UPTO THE CLUB ROOM, BUT YOU CANT PARK ALL NIGHT,SEVERAL SETS OF DOORS TO GO THROUGH NOT BAD ON THE WAY OUT CAUSE THEY ALL OPEN OUT THE WAY." 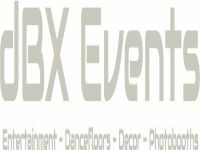 Information is based on enquiries and bookings handled via needadisco.com so whilst it's a great insight, if you have any questions or concerns about holding a function or event at Dullatur Golf Club please contact the venue. Dullatur Golf Club has previously been hired as a venue for private parties such as birthday celebrations, anniversaries, engagements etc. Dullatur Golf Club is in our Sports, Social & Members&apos; Clubs category. The map below shows other local venues in the same category.